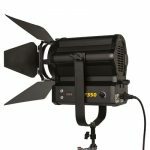 With fresnel style lighting gaining popularity again, ikan’s White Star line of LED fresnel lights have become a go to for many cinematographers. 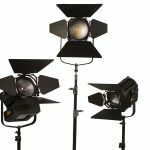 So we stopped to speak with ikan’s George Tripsas once again to learn more about their White Star LED fresnels. 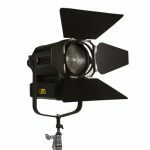 ikan White Star Fresnel LED lights are designed and built for professional photographers, videographers and cinematographers who want high quality at an affordable price. 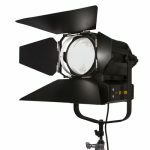 The 5600K Daylight Fresnel light delivers field-tested reliability, solid construction, and all the features required for professional performance. 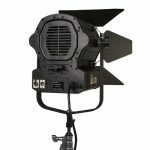 ikan White Star fresnels feature a 6” Fresnel lens with a spot to flood focusing knob and a quiet active cooling system that delivers reliable, consistent performance. 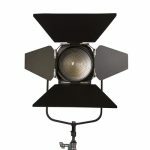 Tripsas also mentions that ikan will soon release a Red Star version of their LED fresnels. 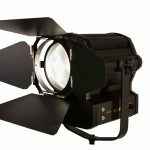 The Red Stars will be 3600k tungsten LED lights, with many of the same features of the White Stars.